Oh yeah, it's Mother's Day! 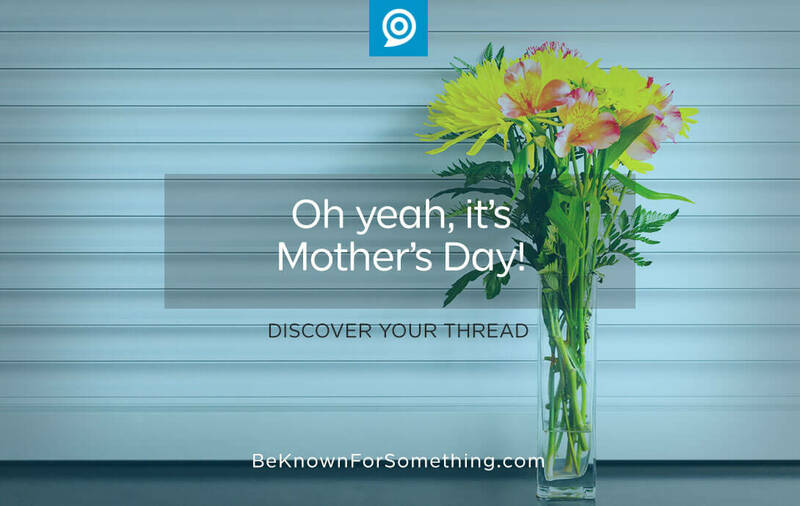 Be Known for Something : Discover Your Church Communication Thread / Communication Strategy / Oh yeah, it’s Mother’s Day! 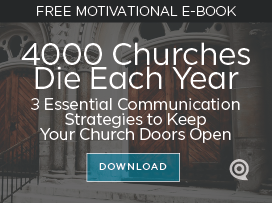 Church communications is not an easy task. Many people think its as simple as telling everyone what’s going on in your church (and that isn’t always simple!). But it’s more than that. An effective church communicator is a leader who intently loves, knows, and understands the people who come to your church. But it doesn’t stop there. They also fully understand the needs of the greater unchurched community. They have a wonderful way of connecting (through communications) the ministries that deliver appropriate solutions to the people with needs. A church communicator doesn’t just know how to use the tools (website, bulletin, social media, email) — they also help shape and filter the messages so a church congregation feels engaged. If you found yourself this week saying “Oh yeah, it’s Mother’s Day so we better do something for the Moms”, you’ve started to think like a church communicator. It seems so obvious; the world knows Mother’s Day is coming. It happens every year. So the church must do or say something so that the Mom’s feel honored. If you don’t do something, they’d miss it. They’re expecting it. Church communication is about anticipating EVERY Sunday (and other ministry days) and identifying the “groups” of people who are coming and looking forward to receiving something from your church. They consider your audience. They can identify them and group them into similarities of needs and concerns. Inside and outside of the church (where ever the reach of your church is). They know their anticipated needs. Each person (or group) approaches the church with their baskets of needs, wants, goals, etc. Through surveys, studies, and research, the church communicator understands and seeks to deliver solutions to those needs and paths to their goals. They know what would be missed if your ministries vanished. The true test of a church is to know what people rely on from you. If it’s more easily found elsewhere, the church communicator looks at those choices and determines how they are uniquely different. They help your church to be known for those differences. Hey! It’s Mother’s Day! Think about what your church can deliver that a Mother needs or wants. Something that she’s relying on your church to uniquely deliver. Connect her on that level and you’ve done the job of a good church communicator.